Users think they’re buying GHB, but they’re actually getting a substance that can be far more dangerous. Because the drug is legal to import under Commonwealth laws (which govern the importation of substances), the drug has become readily available on the street, at parties and nightclubs across the nation for just $15. The product is called “Bute”, and is also known as “One-Four”. It’s a clear liquid which is often sold in small, fish-shaped containers, like the ones you might get with your take-away sushi. Dealers often sell the drug as GHB, but they’re actually selling a solvent named 1,4 Butanediol, which is used in car repairs and during the manufacture of plastics including Lycra. When Bute is swallowed, the chemical is turned into GHB by the liver, but not immediately. Because it takes three times longer to kick-in than real GHB, users can find themselves disappointed there’s no immediate effect and swallow extra doses, which can lead to harm or even death. The depressant impact of the drug is exacerbated when taken in combination with alcohol, which police say makes it a real problem on the party scene. Many dealers prefer to supply Bute over GHB, and it’s easy to see why. 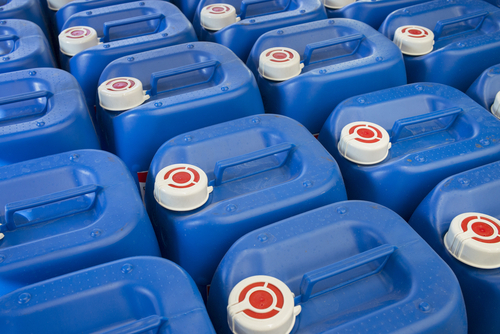 To make real GHB, you need to obtain and process the right amount and type of chemicals in the right way, and to do that you need a manufacturing area. It’s a complex process compared to the procurement of “Bute,” which can be easily obtained over the internet. What’s more, Bute can often be imported without suspicion of wrongdoing, because it has a range of industrial applications. The procuring of Bute is relatively easy – as simple as setting up a fake business and importing the drug under that name. This means dealers are less likely to be detected and prosecuted, and trading in the drug can be highly profitable. 200 litres of Bute has a wholesale price as low as $2000, generating astronomical margins when distributed in tiny containers. We’ve recently heard reports of ‘bad batches’ of GHB, resulting in overdoses and other health crises at dance parties, festivals and nightclubs. However, police now suspect the deadly drug is not GHB at all, but Bute. Most Bute comes from China, and Australian Border Force officers have reported coming across large and unexplained importations of the chemical on a daily basis. Although Bute is legal to import under Commonwealth law, it is classified as a prohibited drug under Schedule 1 of the Drug Misuse and Trafficking Act 1985 (NSW) and is therefore illegal to possess or supply under the provisions of that Act. This essentially means that those who import the substance by relying upon Federal law may potentially still be prosecuted for drug possession or supply under state legislation. In fact, those who are found in possession of a ‘traffickable quantity’ of Bute – which is not less than 30 grams – may be charged with drug supply even where there is no evidence that they actually supplied or even intended to supply the drug. This due to the law of ‘deemed supply’ (section 29 of the Drugs Act) which says that a person found in possession of a traffickable quantity is guilty of supply unless they can prove it was possessed for something other than supply eg for personal use only. Indeed, the inconsistency between federal and state legislation potentially puts legitimate importers of Bute at risk of being mistaken for drug suppliers and potentially prosecuted. The Age has reported two cases of how the legislative inconsistency is being taken advantage of by drug dealers. The first case involved a career drug supplier who was caught by police with several illegal products, plus 40 litres of Bute. He argued in court the Bute was intended for legitimate industrial purposes, his prior convictions could not be disclosed, and the jury ultimately found him not guilty, after directions about the fact that Commonwealth legislation prevails over the State legislation to the extent of any inconsistency. Another supplier was caught with a small amount of what he genuinely thought was GHB, and was surprised when police tested it positive for Bute. Eventually, realising how easy (and legit) it is to order the chemical online, the supplier reportedly registered himself as a cleaning company, leased a warehouse and began to import tonnes of the stuff despite having no clients and no equipment. Around 40% of Australian adults have admitted using an illicit substance at some point in their lives. In terms of supply, are more than 100,000 drug seizures in Australia every year and the market continues to grow. Police have expressed concerns over Bute and also about “the next big thing”, which they say is Carfentanil – a Chinese product which is up to 10,000 times as powerful as morphine, and is used to sedate large animals such as elephants. A number of fatal overdoses from Carfentanil have been reported in Canada and the US, and front line health care workers are said to be bracing themselves to deal with patients who present with overdoses from the drug. 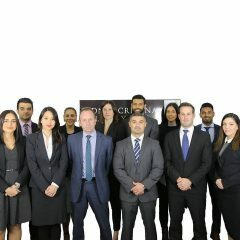 Sydney Drug Lawyers is a subsidiary of Sydney Criminal Lawyers® which specialises in drug cases.